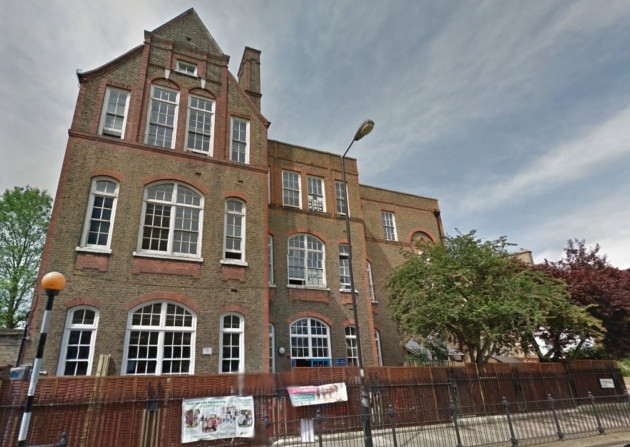 In 1949 I started my school life at Thornhill Road Infant School. The Second World War had ended four years earlier and rationing was still firmly in place. Although my family, (two older brothers, Mum and Dad), were poor, we were no different to any other family in Islington. I liked the school because the teachers were always very pleasant me. One morning the class was gathered together in May 1950. In the school hall was a large wooden pole with different coloured ribbons hanging from a top circular piece. The ribbons were hanging from the top carousel and each landed in a bit of a heap at the foot of the pole. Each of us was told to go to the pole and select a ribbon. I chose a green one. The boys were told to stand back from the pole by about nine feet, the girls by six feet. One of the teachers put an old record onto an equally old gramophone. Told we were going to dance, my heart sank. I didn’t know anything about dancing, and certainly didn’t want to learn how to. The music started after we were told “this is an old song called “Wassailing Round the Apple Tree”. We boys were told to skip round the girl in front and to the left of us, then still facing the pole to skip backward to the place where the boy to our right had previously stood. The girls were told to duck under the ribbon of the boy behind, and to the right of their position. It all seemed very complicated to me, but as we progressed, the coloured ribbons plaited themselves further and further down the May Pole. I got the hang of it soon enough. The music started; I didn’t understand it at all. I tried to think what on earth could wassailing be? As we went in and out of each other, in front and behind our ribbons continued to make a lovely lattice covering down the pole. I wanted to carry on until the pole was completely covered, but the teacher stopped us. We were then told to turn round and do the whole thing again in reverse. I wasn’t the only one to get it all wrong. It wasn’t until the teacher started laughing that we all relaxed … Hot and sweaty, I really enjoyable lesson. A few months later, say six or seven months, we were again mustered in the hall. Country dancing was the title of the lesson. On being shown what to do, I inwardly cringed. We lined up in two rows, boy opposite girl – we had to slowly move down our respective line as the kids in front of us reached the head of the line. We then (the girl opposite me) and I, had to bow and curtsy to each other, hold hand and skip back down the inside of the two respective lines – back to the end of the lines. I was shocked (more likely appalled). I’d never spoken to girls in our street as we played street games. Mostly, boys played sensible boy games like “rag-ball or blind man’s bluff”. Girls seemed content to swing on ropes tied on the arms of the gas street lamps. I was deeply embarrassed to be seen holding a girl’s hand. In other dances, we boys had to hold both the girls hands and turn in circles whilst moving in a pattern, which avoided other dancers. These were very intricate dance moves all staged in time with records playing what sounded like an accordion, violin, drum and a tin whistle. Sometimes we were each given, tambourines to slap against our thighs as we danced in time, to the music. When my two brothers found out that I was dancing with girls, the ribbing was quite merciless but as time passed, other distractions took the place of my dancing. If fact, if truth be known, I actually began to not only like those lessons, I even looked forward to them. This entry was posted in Autobiography, education, School and tagged British culture, traditional dances, widening horizons. Bookmark the permalink.